This is the third post in our discussion regarding the use of ETW tools with EventSource API in .net framework 4.5. In the previous posts, we have discussed how we can use PerfView (link), LogMan, PerfMon, PerfMonitor and TraceRpt with our EventSource (link). 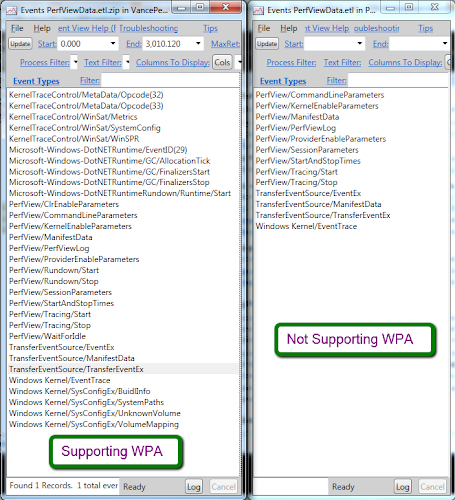 This post is about using Windows Performance Analyzer. Windows Performance Analyzer can be used to analyze ETL [Event Trace Log] files. These ETL files can be generated from any ETW tool including PerfView, XPerf or Windows Performance Recorder (WPR). Here XPerf is a legacy ETW tool. PerfView is available as a separated single file download from Microsoft Download Center. Here WPR and WPA are part of Windows Performance Toolkit, which can be installed with Windows ADK (Assessment & Deployment Toolkit). The toolkit can be downloaded from Microsoft's Download Center. 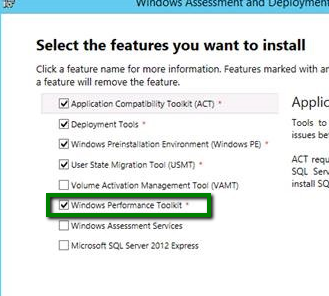 Just make sure that Windows Performance toolkit is installed by the installer. After installation, you should see the toolkit in the start menu. 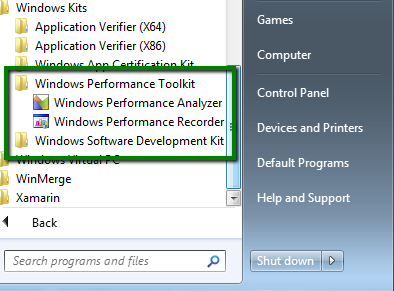 There are two tools including Windows Performance Analyzer (WPA) and Windows Performance Recorder (WPR). Let's use PerfView to generate ETL file for ETW events generated for a sample application. Now WPA relies on additional specific events in ETL files when a trace is stopped. 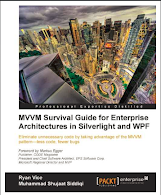 The release version of PerfView doesn't generate those events in the file but there is a separate download from Vance Morrison's blog. Hopefully, this feature should be added to the release version soon. We need to run PerfView with Admin Privileges. We have a very simple application which just writes a couple of events to ETW and exits. PerfView should be able to push those events to ETL file. But first let's first look at event's data with Activity Id (s) and RelatedActivity Id (s). Just look at the extra events generated from Morrison's PerfView in order to support WPA. 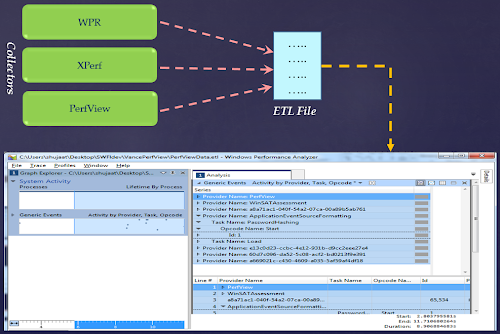 PerfView generates the ETL file in the same folder by default. It is in compressed format. 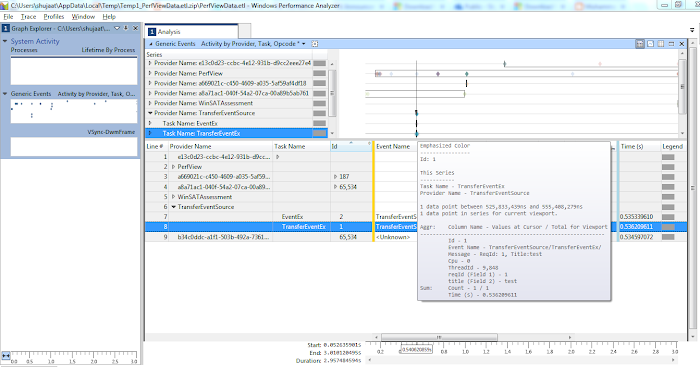 We can decompress and open the ETL file in Windows Performance Analyzer. We can drop the Generic Events to Analysis view to see the details about particular events and their order. I think this can be improved further as you still don't see activity and related activity Ids here.